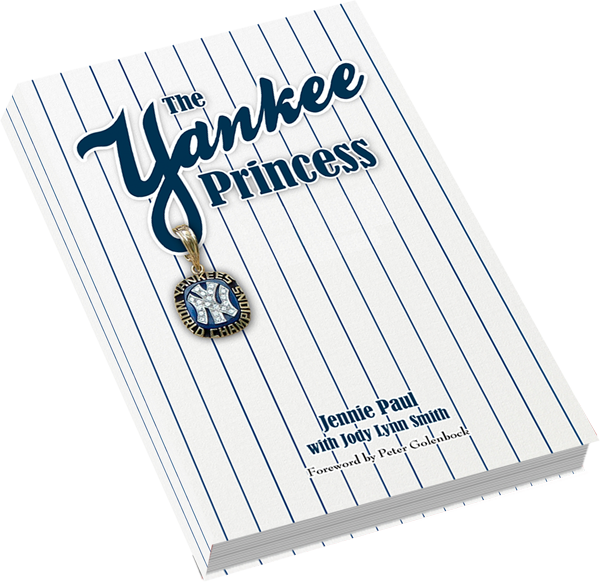 The Yankee Princess is now available! Buy now from Amazon. From breaking ground on the Astrodome to tearing down barriers for Blacks, Jews and Hispanics in the major league, Gabe Paul was a man and a baseball executive, who was there for a lot of firsts in the game. Further, Gabe Paul was a champion for inter-league play, preferring to take a stand against prejudice and racism with actions that spoke louder than words. Many players, managers, executives and sports commentators as well as his daughter may not have otherwise had a chance to develop their character, spirit or game without him. Gabe Paul is widely known for his uncanny ability in filling seats and running teams like the Indians and the Reds on a cleat string, while leading the way in trades that won ballgames and rule changes that made the sport what it is today. He was an advocate for night baseball, the dissolution of the reserve clause, dividing the leagues into divisions, allowing designated hitters and requiring players to bring their gloves in from the field. He turned the farm team concept into a viable business asset and minor league feeder system that made the Big Red Machine in Cincinnati and many other teams great. Gabe Paul was the youngest General Manager in Baseball, succeeding Warren Giles. When he assumed this role, he left behind his job in baseball public relations, a position he would help write the template for as the fourth person in major league baseball to serve in this capacity. Gabe Paul is a two-time winner of the Executive of the Year award, an inductee in the Ohio Baseball Hall of Fame and a recipient of the Bill Slocum award as well as countless other honors for his 6 decades of service as an executive in this sport. By all that counts, Gabe Paul was a man FOR BASEBALL. Gabe Paul is a man with numbers in his favor as the 2010 winter baseball meetings approach, which is where and when the decision on whether or not he will be voted into the National Baseball Hall of Fame following his fourth nomination. The decision will be made by Baseball's Veterans Committee on December 6 and announced to the public the following day. Jennie Paul is a highly sought after motivational speaker who is available for speaking engagements and interviews. 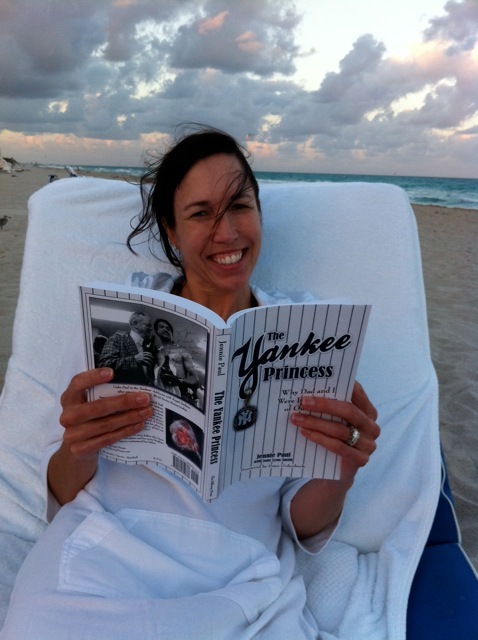 She is the daughter of former NY Yankees GM, President and owner Gabe Paul, an extraordinary man, who dreamed of owning a World Championship team. Although he fell short of this dream quite a few times before becoming an owner and GM of the New York Yankees in 1973/74, he did amazing things for the game throughout his 65-year career. Like her dad, Jennie Paul is self-made. Gabe did not believe his family should be given preferential treatment based on his position as part-owner and President of four major league teams. The Yankee Princess shows this value in practice. Although Ms. Paul was a sports writer for the same paper where her dad got his start, her sports-casting accomplishments and other career milestones are all her own. Jennie Paul was the first woman in The Washington Post Sport's Department, where she worked under the tutorial efforts of famed Sport's Editor Shirley Povich (Maury Povich's father.) Early in the 70's, Jennie worked at the Pulitzer Prize winning Dayton Daily News as a sports columnist and beat reporter covering baseball, football, hockey, tennis, and bowling and high school sports. It was there that Jennie decided to add broadcasting to her media experience, joining WCPO in Cincinnati and WLW, where she covered the Cincinnati Reds, the Bengals, the Kentucky Derby, and the Indianapolis 500. Later in New York, she worked as Assistant Editor of Features for CBS Producer Phyllis George and on NBC Sports Grandstand with Bryant Gumble. Jennie's feature story on the Gallaudet College hearing-impaired football team was submitted for Emmy consideration on the network reel. Moving to Boston while her Dad was still running the New York Yankees, Jennie became the first woman in the country to do a sports trivia radio show on the Boston Red Sox station, WITS. In addition to broadcasting, she was a TWA flight attendant. This international exposure meant Jennie was often in the right place at the right time for the best sports stories. That fact guaranteed that her freelance, human interest features ended up on the Fox Network (formerly Metromedia) Sports Extra on TV 5 in NYC. She covered Wimbledon and the Maccabia Games in Israel. Later in her career, Jennie wrote features for the Sporting News and held several other broadcasting positions before 9/11 inspired a career change to a personal chef aboard corporate jets. Jennie presently resides in Annapolis, MD with her two children, Matthew and McKenzie, who are presently attending college. Jody Lynn Smith's first book, Talk a Different Game, at Work is being co-published with Amazon.com and will be available for sale via Amazon.com, Borders.com, BarnesandNoble.com and other retail distributors in 2010. 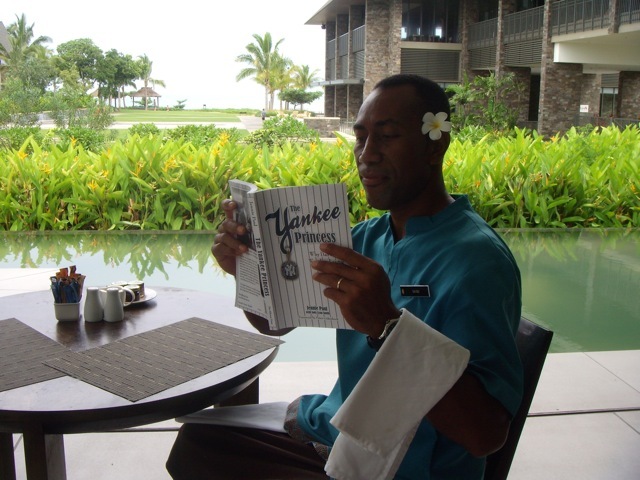 It is a non-fiction how-to book that engages the reader into a sport–oriented business journaling process to make and execute a game plan for a passionate, value-driven work life with their faith well-placed. It is the first in a series of business and personal motivation books using sports as a context. 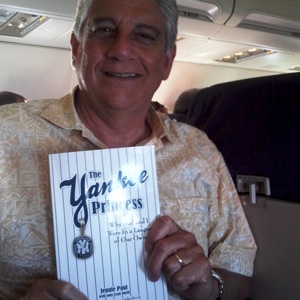 Smith's work with The Yankee Princess as a collaborator and co-author with Jennie Paul and her own Talk a Different Game series comes on the heels of a career transition, started one year ago where she was Vice President and co-founder of Technologists, Inc., the largest American engineering firm operating in Afghanistan today. In her 25-year career, Smith wrote thousands of pages of content on all matter of business, news, issues and motivation topics for clients at small businesses, Fortune 500 companies, the Federal government and not-for-profit organizations. She is presently the President of Context Engineering, LLC, a book publishing concierge firm. Smith holds a B.A in Communications from Penn State and an M.B.A from New Hampshire State College. She is a recipient of the Tribute to Women in Industry Award, Outstanding Young Leaders of America Award and Gold Screen Award from the NAGC. Smith is a single working mother, who spent many years cheering her son on in his youth baseball triumphs, which took him all the way to Cooperstown in 2005. Smith resides near Washington, D.C. with her son, who is in high school.